Andrew first learned of Youth With A Mission during a high school summer mission trip in 2003 where he first committed his life to Jesus. Raised in a military family, he was able to experience firsthand the diversity of our Creator God through his many travels around the world. As a musician, Andrew is passionate about helping others discover their God-given sound and releasing them into the nations. He met his wife Rachel at YWAM Denver in 2007 during his School of Worship, where they first began leading worship together. 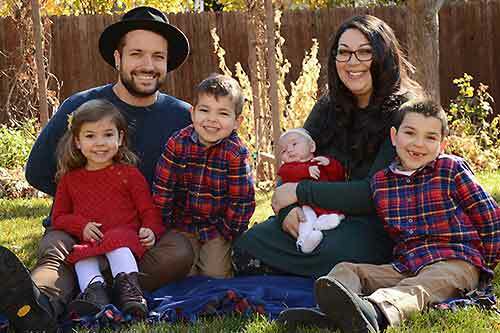 They have four children; Levi, Gideon, Avalyn, and Leola, and are currently serving on the Leadership Team at YWAM Denver.